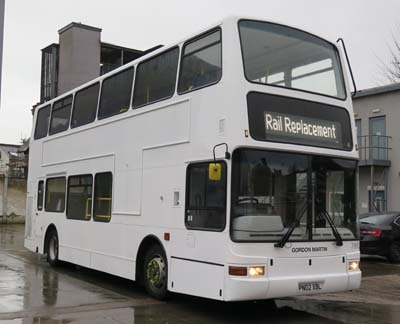 Connections with Brighton and Hove : Brighton born Gordon first joined Brighton buses as a bus driver in 1985, where he was based at the garage in Moulsecoomb Way. He then moved down to Lewes Road working as a car mechanic within the garage. After Lewes Road garage ceased working on cars, Gordon then decided to re-train to be a bus mechanic and stay on at the Lewes Road depot. He was very highly thought of by his peers and his colleagues at Lewes Road and his loyalty, punctuality and reliability were noted. 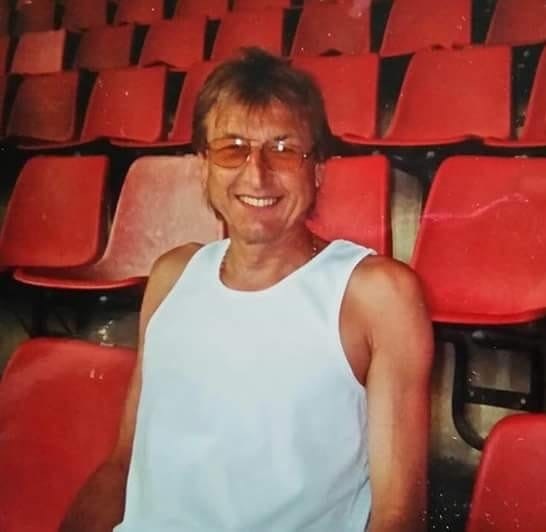 He had many friends within the company and formed lasting friendships with all that he met and worked with, he had time for everybody and was always on hand with advice (and tools!) – his motto to any budding apprenticeship mechanic was ‘never, ever give up, work hard and always give 100%, which were words that he lived by himself. In 2014, after a brief supervisory role at Lewes Road, Gordon moved over to the garage in Newhaven, he was never one to sit still for long with paperwork - he was a true mechanic by heart and dearly missed the hands-on role of manual labour, he was naturally mechanically minded and was in his element when he could take something apart and put it back together again. He retired in 2014 at the age of 64 after 29 years of loyal service to Brighton Buses, though he remained close with old colleagues and would often ‘pop’ down to see them, secretly missing the working environment that he so enjoyed. After retirement he took up a role as a matchday steward at the Amex Stadium, and even walked alongside the team bus in the promotion parade in May 2017. Gordon passed away in October 2017 from pneumonia with complications, he will always be dearly loved and missed by all who knew and met him, a true gentleman. 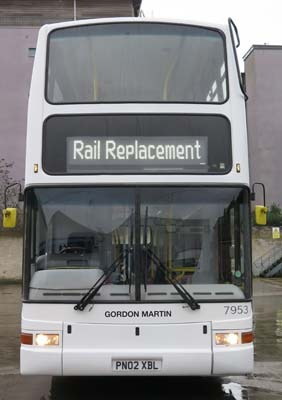 7953 Volvo B7TL - carried name since February 2019 on a training bus.